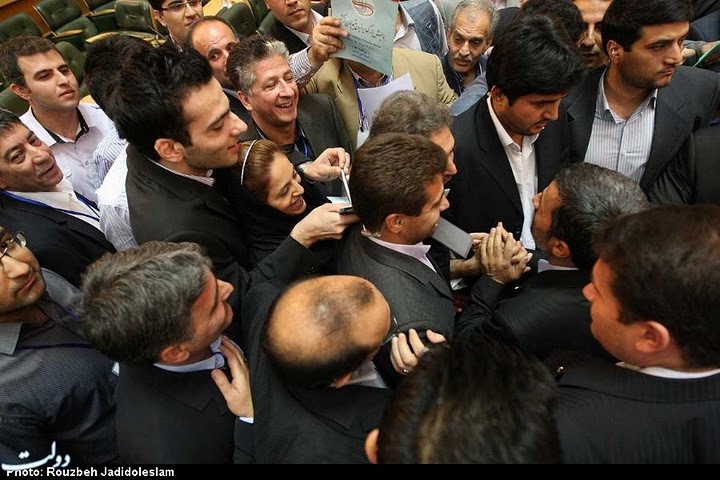 Some more pictures from the Great Conference of Iranians Abroad". The most sickening picture of the conference. 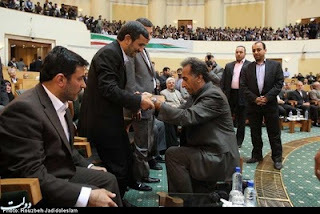 How low must one get to kneel in front of Ahmadinejad? Well with word now getting out of there being a growing a rift between Ahmandinejad and Khamanei, maybe my comment on my last post of an implosion is a lot closer than even I dared hoped! But like I've also said in the past -alliance's forged with cheats and murderers, eventually just ends up with them stabbing each other in the back and slitting their own throats! Anyone with a decent psychological commen sense can see that. But when it comes to dealing with a collective of selfish hyper-inflated ego's only interested in protecting their positions and wealth, it's all too easy to brainwash themselves or deliberately stay deaf, dumb and blind to the cries of common sense! Yep - I think the disintegration of them all accusing each other of betraying the constitution and inflicting crimes against humanity is neigh! 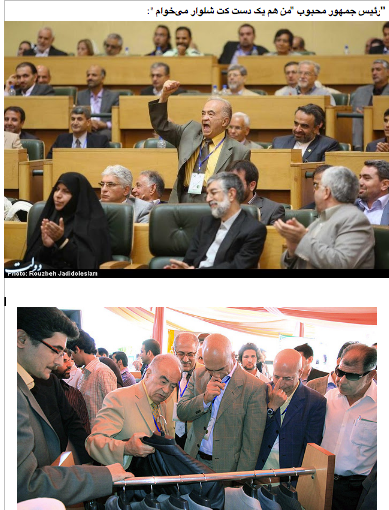 Just watch them all cowardly cringe when the people's and International laws finally catch up with the whole stinking lot of them! Dear Potkin: What was wrong with my post that it didn't get posted? Why so hostile toward me? What have I not published? How can I be hostile towards you?